Bring South Park everywhere you go! This mini Zombie Kenny Pop! figure is perfectly sized to fit right in your pocket. 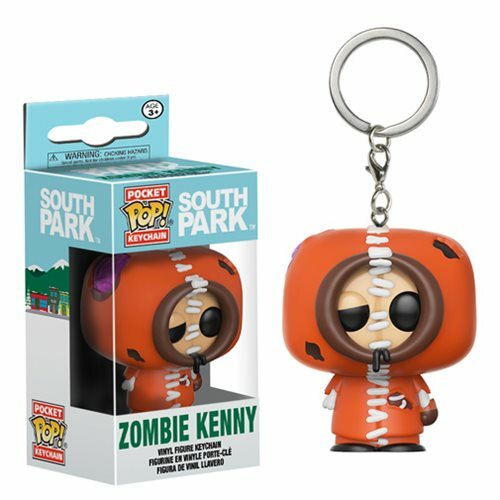 The South Park Zombie KennyPocket Pop! Key Chain measures approximately 1 1/2-inches tall and comes packaged in a window display box. Ages 4 and up.